The World Business Capability Congress was the premier business improvement-orientated congress. This Congress provided attendees with a more complete understanding of what it takes to become a successful organisation in today's and tomorrow's business world. We are confident that attendees obtained ideas and initiatives that, if implemented, will lead to substantial improvements in their own organisation's business capability and performance. This Congress aimed to make a real impact in helping organisations raise their business capability through "Driving Excellence> Innovation> Productivity> Export Growth. This was achieved by holding a knowledge-packed event with over 100 presentations, 14 keynotes speeches, and a Best Practice Competition, with up to 20 organisations sharing their best practices. Organisational survival demands extraordinary improvements in organisational performance. Organisations' need to exist in a highly, and increasingly, networked world. They face fast-paced technological, economic, regulatory, environmental, demographic, and cultural changes that daily influence their ability to remain relevant and viable. 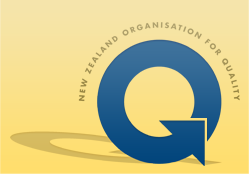 The organisers were the Centre for Organisational Excellence Research, New Zealand Business Excellence Foundation and the New Zealand Organisation for Quality. The partners assisting in promoting the event were: Asian Network for Quality, Asia Pacific Quality Organization, Auckland Tourism, Events and Economic Development (ATEED), BPIR.com, Economic Development Agencies New Zealand (EDANZ), Global Benchmarking Network, Institute of Management Consultants New Zealand, Ministry of Economic Development (MED), Ministry of Science and Innovation, New Zealand Institute of Management, and the University of Auckland Business School.